Mainstream jazz with a West Coast edge. 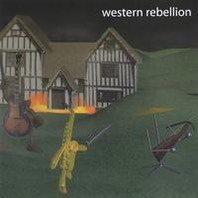 On this recording, Western Rebellion plays all original compositions by five members of the sextet. Two works by Keller Coker (Don Juayne and Mr. Saturday Dance) offer a straight-ahead swinging sensibility; Gordon Lee's Insomnia and Technophobia take that sensibility in a slightly twisted direction; Dan Schulte's Strange Pilgrims and Room 6104 provide playful and pensive moods; Tom Bergeron's Antares and Rich's Tango add Carribean and South American flavors to the project; and Christopher Woitach adds a free spirited aesthetic with Twa Sisters.